October is the month of the Rosary, and is a month of honor/devotion to Our Lady, Mother of Jesus. 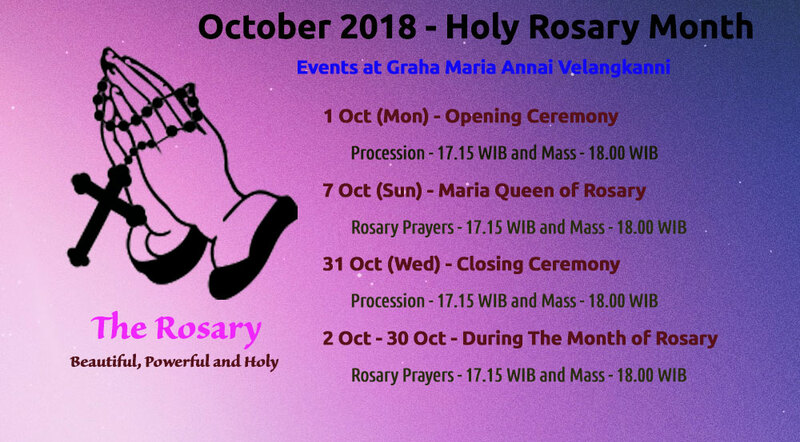 Please join us in the daily Rosary Prayer held at the Graha Maria Annai Velangkanni during October 2018. Hopefully, the Rosary Prayer will become a part of our lives with the help of our prayer through the Virgin Mary to Jesus, and making the Rosary Prayer a weapon of our faith.